The Church of God, a Worldwide Association, has made its first e-book available free on its website. ORLANDO, FL, April 22, 2011—As part of its mission to proclaim the good news of the Kingdom of God, the Church of God, a Worldwide Association, has released its first web booklet titled The Mystery of the Kingdom. Many theories have developed about what Jesus meant by the Kingdom of God and why He called it a mystery. The Mystery of the Kingdom explores the relevant biblical passages and uncovers Christ’s purposes for presenting some of His teachings in often-misunderstood ways. What is God’s purpose for you? Can we enter the Kingdom now? What does it mean to repent and believe? What is the punishment of the wicked? What does it mean to be led by the Spirit? Is the Kingdom within you? What is the meaning of God’s holy days? This e-book is the first of several planned publications covering important biblical subjects. The e-book is available in an e-book reader format, as well as a PDF for downloading. 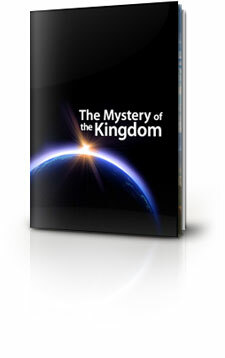 You can find The Mystery of the Kingdom at http://cogwa.org/guidance/booklets. The Church of God, a Worldwide Association (http://cogwa.org), is a vibrant and mission-driven community of Christian believers living throughout the world. Its mission is to preach the gospel of the Kingdom of God and make disciples from among those whom God calls. Its values are developed from those of the New Testament Church and are based on both the Old and New Testaments of the Bible. For more about the Church of God, a Worldwide Association, see “About Us” at http://cogwa.org/about.